The fabric is made in traditional Italian weaving. Final production takes place in our modern manufacturing facility in Portugal. 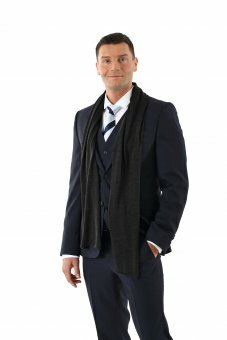 This fine scarf should not be missing in any wardrobe! The discreet dark color suits any kind of attire - elegant and sportive. 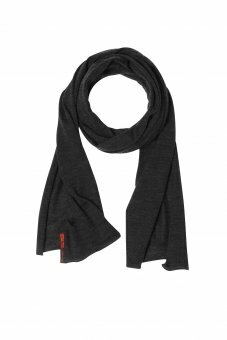 Being casual and stylish, this scarf is also a very nice gift! Machine wash cold, gentle cycle max. 30° C / 85° F.